Microsoft has finally announced plans to launch its Zune entertainment brand in the UK and Europe, ramping up its attempts to take a bigger slice of the mobile entertainment pie away from Apple's dominance of the market with iPod and iPhone. Zune has been available on PC over in the US for a while now and the service launches on the Xbox 360 here in the UK this week. Microsoft's general manager for TV, video and music marketing, Christine Heckhart, told the FT that the company wants to put Zune on "three screens", harking back to Bill Gates' original vision of "Live Anywhere" – essentially a fully integrated entertainment experience you can access on your PC, TV or mobile. "The strategy and vision of Zune is to continue to build out that full entertainment experience," she added. 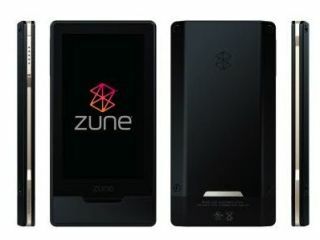 Mark Mulligan, music analyst at Forrester Research, also adds that he considers Microsoft's latest Zune HD player to be a "killer device". No word on when the UK might see Zune HD yet, but it seems that Microsoft UK has it sights firmly fixed on owning the living room with its latest moves to integrate social networking, gaming and movie-viewing via the Xbox 360.